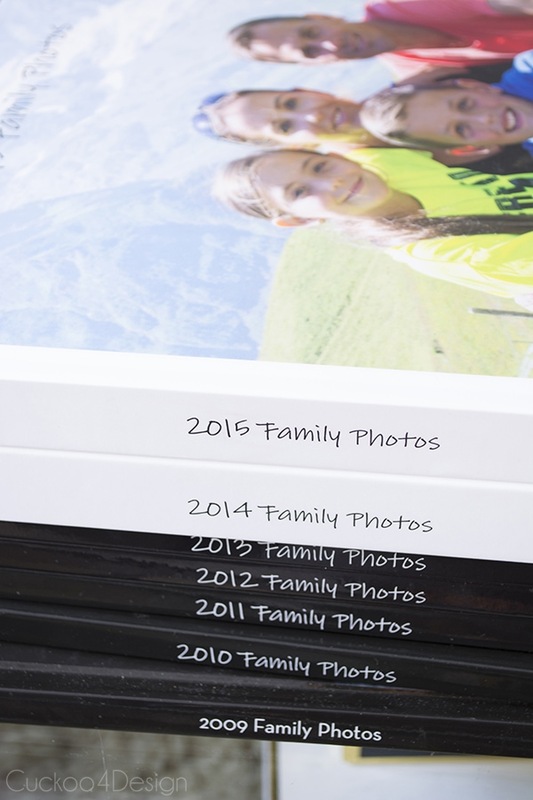 Today I want to share with you how I make our annual family photobooks. I have been making a large coffee table book of our yearly photos since way before I started this blog. In 2009 I started making them through Shutterfly. They are definitely a lot of work but so worth it in the end and today I want to show you how I get it done. I have finally developed a method that works best for me. 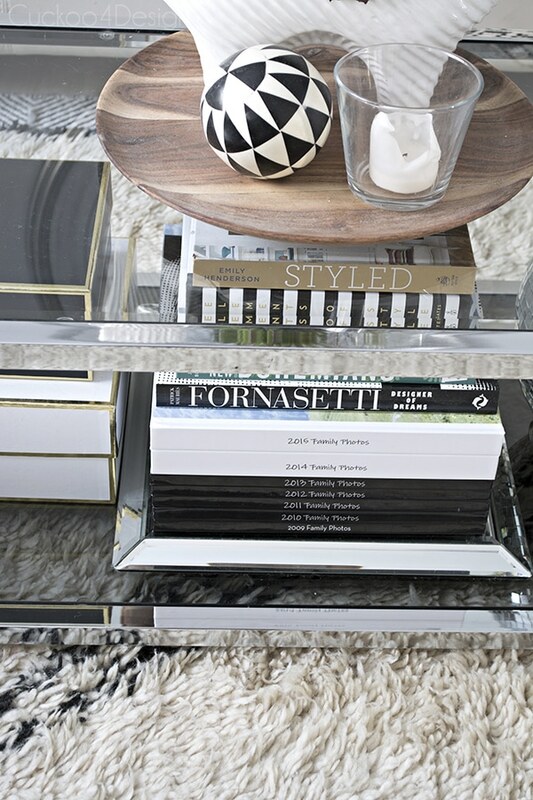 To me these kinds of coffee table books are absolutely the best ones to have! 2014 was a chaotic year and I wasn’t able to finish my book. I kept pushing the project ahead of myself and vowed that the 2015 book would be different. So after every event or month in 2015 I uploaded photos to Shutterfly and immediately added them to my photobook. This was such a huge help with having it all done by the time New Years rolled around. After that I also pushed myself to finally have the 2014 book done too. My kiddos love taking them out and looking at all the memories we have made over the years. With all the traveling we do throughout the year and all the photos I love taking this is a perfect way to keep them all organized and displayed. In case anyone is wondering about her hair color, she’s obsessed with THESE washable hair pens now and this is the only pair of jeans she wears right now. Yippie! Look at how much my little girl has grown! Sigh! I either keep them here under the table or by the fireplace side tables. The reason I stay with the same company to print my books is because I have them all in one place and consistent same format as you can see by the below screen shot. They are all there and should one of them or all get ruined one day, I can order them again. I’m always scared of a fire and knowing that they are right here for me to reprint (which I have also done as gifts for my parents) is easing my mind. Keep them all in the same format and layout ( mine are 12×12). I save copies ahead of time, so I only need to place the photos. 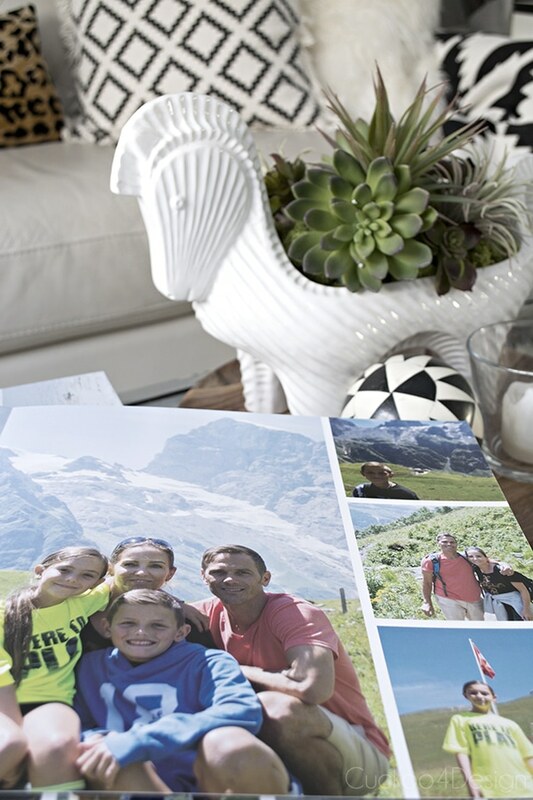 I love plain pages with not a lot of decor/scrapbook look which makes it easier to add photos again for the next year. 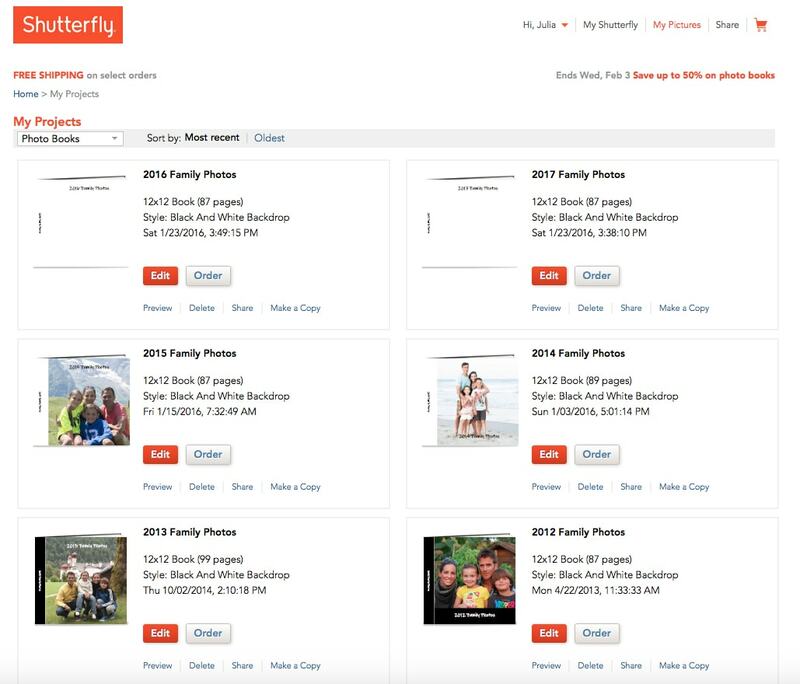 Keep all your photos organized in yearly photo folders. I use the same font for the spines (I started that in 2010). 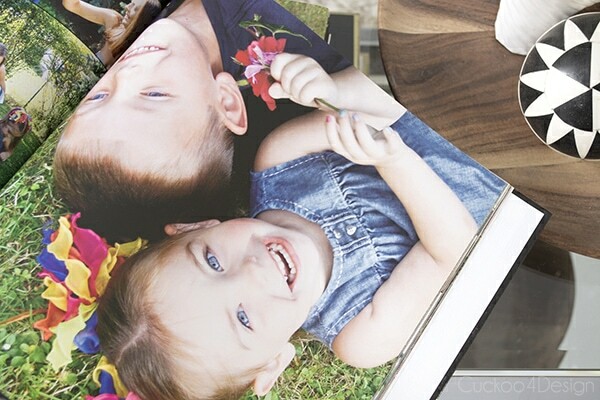 Upload photos monthly and add them to the photobook so you don’t get overwhelmed at the end of the year. Believe me it’s happened to me so many times. If you have to catch up and do several years worth of books: Try to set photos to upload in bulk while you are cleaning and doing house chores and also dedicate 0.5-1 hours a day for putting the photos into pages. You’d be surprised to see how much you can get done in a week or two! I wish now that I would have alternated book spine colors between black and white, so the actual display was stripes. That would have been really cool. In the previous years I have used shiny covers and thin book pages. This year which you can see in the two white books, I chose the matte cover and the thicker flat lying spine and pages. But I do think I will go back to the shiny cover and thinner pages again next year because the shiny cover makes it wipeable and little kiddo finger prints are easy to remove. My goal now is to still make some childhood books for each kid with photos of them over the years growing up. I’d love to start with our son to make him a book of his first 13 years of his life. It would be so nice to have. Do you make yearly books? Do they overwhelm you? I hope my post helped you in any way today. i should really start doing this…. i used to love looking at albums when i was a kid!!! love these! Thank you! It’s one of these really time consuming projects that are so worth it though and it feels really good and accomplished when they are done. Love this Julia! Thanks for this tips. This has been on my to-do list FOREVER! It feels good when it is finally done. Before 2009 I made the old-fashioned standard annual photo albums and I just could never get myself to remake them in a coffee table format. I’m glad I have these though. Seriously Julia, this post is so hopeful to me. 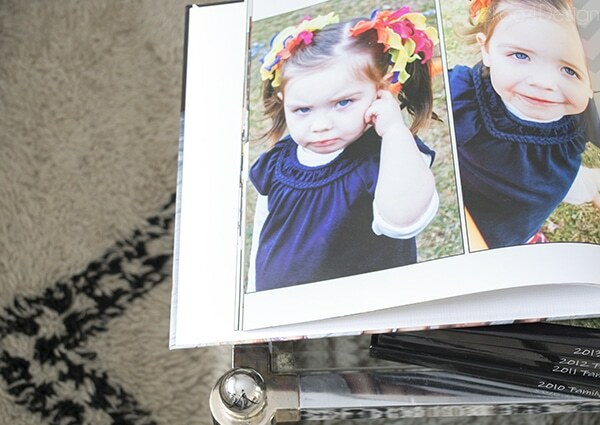 I made a shutterfly photo book for my oldest when she turned 1 and started one for my youngest but never finished. I really want to do yearly ones too for our family. It becomes really overwhelming so thinking about it every month is such a great idea. Oh I’m glad you found it helpful. I feel overwhelmed with this stuff at times too. I made a preK and Kindergarten book for my son when he went to Elementary school which is so cute to have now. But I never made one for my daughter. She gets upset about it too. It’s been on my list of things to do. This is a valuable must share. I started with my son’s first year book last year. It was a lot of work since I had to organize and download the pictures I wanted to use on Mixbook. This year I have decided to start making yearly family photobooks. Most of the pictures are of my son so it would be silly to make a 2nd year photobook and a family one too. I would like to go back and make photobooks for vacations and when I was dating my husband. 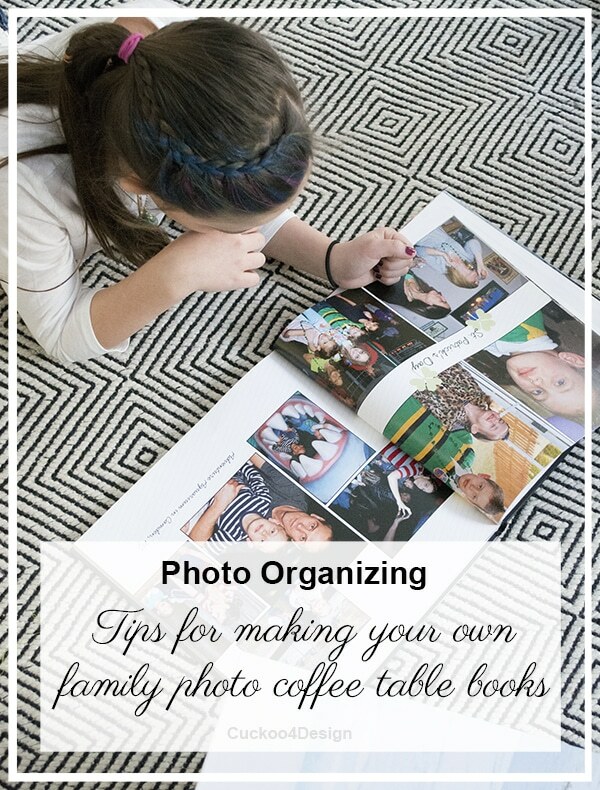 The key to organizing photos is to download pictures you have on your phone, camera, iPad onto your computer every few weeks. Then put them in corresponding folders. This makes the photobook process a lot easier! I always back it up my photos on a usb stick that I store in a water/fire proof safety box. I know it would be easier to save photos on shutterfly, but I like to do it the hard way, lol. I do back mine up on hard-drives and CDs as well but the CDs have occasionally stopped working and so have the hard-drives and USB sticks, so it’s nice to have them somewhere where I can order them whenever I want to. Great tips. I love what you wrote: “If you have to catch up and do several years worth of books”… because.. ummmm… I am many years behind…many, many, many years behind. Thanks for the inspiration and btw you daughter’s braid is adorable!! Thanks Sheryl. Even if you just get a little bit done it’s better than nothing, right? 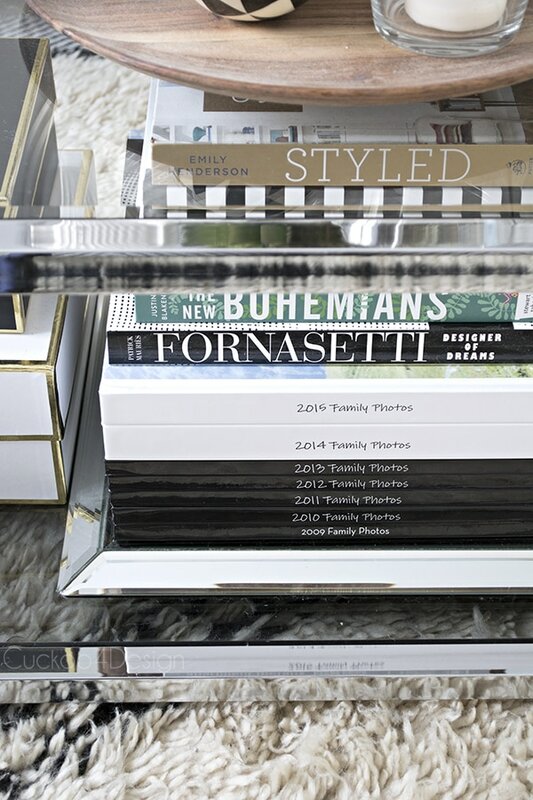 What a great idea and love that they look like artistic coffee table books that you don’t mind displaying. I think I will put this on my to do list for this year. Think it would also make a great present for relatives. And the hint to upload photos into the book every so often instead of just waiting until the end of the year makes it seem much less overwhelming. SO I have several years to do and will have to just block out chuncks of time for those, but definately going to try doing the uploading month by month for this year. It helps so much. Plus your memory of the even it so fresh and you know exactly how they should be placed. Good luck with it! Great tips! I don’t do yearly but I need to start. One thing that I’ve done for a few years is to give Greyson a photo book for Christmas of whatever vacation we went on previously. I write the vacation like a story so that when I read it to him, he reads it like he was there. He LOVES it. I really need to start doing the yearly ones though. Love your tips. That is such a fantastic idea. My kids would love that. 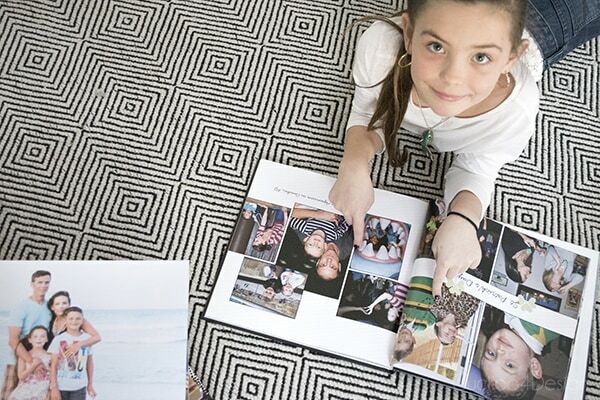 I would love to do this, but haven’t printed a photo since my 2nd daughter was born in 2008, and I now have 3 kids! I see the books have 99 pages, do you know approximately how many photos are in a book? Totally overwhelmed, every year, but they’re so worth it! Doing a month at a time is such a good idea; I should definitely try to do that! I did monthly books for the first year of each babies life, really glad I did! And we do a Christmas book every year of basically all December events. I bring them out with the Christmas decorations every year. Starting yearly books is a great idea!! Thanks Tessa and that sounds wonderful to make Christmas books. I need to start doing this! I keep putting it off, but I know my daughter would love looking through these.